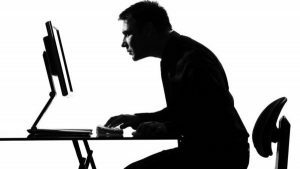 In today’s society, we often find ourselves sitting in front a computer, with our necks extended forward and our shoulders hunched over. Over time, this creates muscle imbalances and makes us more prone to injury and pain. Here are 5 exercises to help counteract those imbalances. Use your head rest: Next time you’re sitting in the car, as the driver or passenger, notice if you’re extending your neck forward. Re-align your neck and spine by resting your head against the headrest and tilting your chin down slightly, pulling your neck back. Work your wings: Holding your elbows by your side at a 90 degree angle, externally rotate your arms outward, feeling a squeeze between your shoulder blades. Hold for about 3 seconds, release and repeat for 10-12 reps. Make sure you maintain your neck aligned as practiced in exercise 1. Cat/Cow: a classic yoga movement to promote fluidity in the back and pelvis. Start on all fours with your hands under your shoulders and with your knees under your hips with a neutral spine. Inhale, looking up as you pull your shoulders down and back, letting your stomach fall towards the floor, and emphasizing the arch in your lower back. Then slowly exhale, rounding your back towards the ceiling, pulling your belly button to your spine and tucking your chin. Repeat for 5 breaths at your own pace. You can also modify this movement by doing it seated or standing. Calf stretch: We walk so much through our lives and take our calves for granted. It’s no wonder they are often tight. Stretch them daily and throughout the day by hanging your heel off the edge of a step and holding for 20-30 seconds. Switch sides. Sun breaths: Start standing straight up with your feet together. Inhale as you circle sweep your arms up. Then fold forward as you exhale with your palms coming through heart center. Inhale with a halfway lift, lengthening your spine forward while keeping your fingertips on the floor or shins. Then exhale, folding down deeper into a forward bend. Try to keep your knees straight and feel the stretch in your hamstrings. Inhale as you rise up, circling your arms up towards the sky and then down through the heart center back to your side. Repeat 3-5 times to help lengthen your spine and hamstrings. I recommend going through these exercises at least once a day. However, the more time you spend in one position (or even in the same repetitive movement), the more effort you’ll have to put in to stretch and strengthen the opposing muscle groups. Consider seeing a physical therapist or personal trainer to help guide you through exercises specific to your needs, even if you don’t have any pain. Remember, the goal is to optimize posture to reduce the risk of injury. If you’d like a more hands-on experience, attend one of my Power of Posture workshops. See my upcoming events here. Refer to my previous blog here to read more about the Power of Posture.